Let Illinois become a wonderful starting place for your venture into the sport of golf!!! They have attempted to make golf truly accessible for all people in the state by providing many public low cost courses. Many are in the Chicago area where there is an abundance of opportunities. The Chicago Park District has six courses, three driving ranges, two miniature golf parks and three learning facilities. There is also the golf Advantage Card that offers discount prices for the greens fees, driving ranges and merchandise. There is no excuse not to golf in Chicago!!!! Also, try the Bolingbrook Golf Club in Bolingbrook. 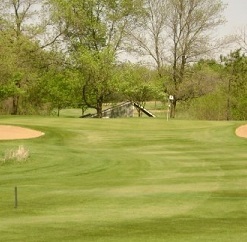 It has an island hole, or try the Prairie Vista Golf Course in Bloomington. It has many long and water-filled holes. There is absolutely no reason not to enjoy a golfing vacation in Illinois!! !